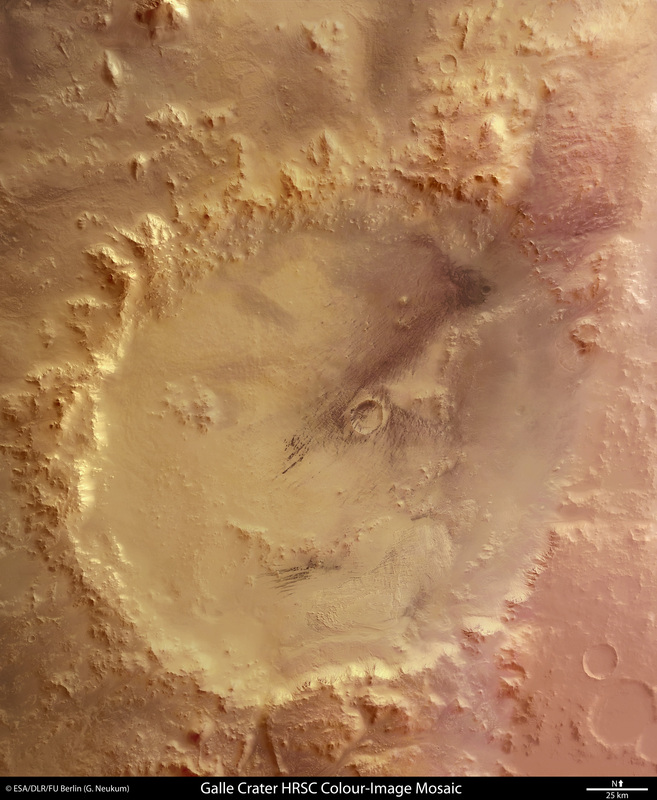 Today's Mars Photo is of Galle Crater, which is a 230 km crater resembling the classic smiley face. This image was taken by the European Space Agency's (ESA) Mars Express High Resolution Stereo Camera (HRSC). This happy face crater was first discovered by the Viking I Orbiter mission. This image will link to the original one on ESA servers, which is much higher-resolution.